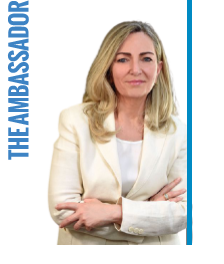 The Embassy of Italy in Washington DC and the Italian diplomatic Network in the United States are focusing on strenghtening their presence across social media and digital platforms. Our goal is to build and nurture a dialogue with our citizens and our audiences here in the United States. The Embassy's Social Media Hub is a simple and innovative tool that allows us to engage with the public and our citizens. It highlights our digital and social media presence: a total of 31 Twitter profiles, 27 Facebook pages, 8 Youtube channels, 4 Flickr accounts, 5 Linkedin pages, 3 Instagram profile, and 3 Medium. The Embassy is also working on a plethora of activites, including our Digital Diplomacy Series, to better understand the role of technology in diplomacy and engage with all stakeholders and partners. Other projects include the Italy4Kids portal and our ItalyinUS cultural campaign..